read the comments on the given link ^…press ctrl+F and search for RIP (Rest in peace)..your search would draw a blank…. why such limited sympathy for the innocent departed souls? did they die with suicide vests on, after blowing up other innocent humans?? No..Did they commit some (real or imagined) blasphemy?? No..were they involved in antistate activities of some sort? No..foreign Spies? Murderers? Thiefs? NO…they were attending a haram concert listening to haram music!!!!!! How easily it comes to some people to judge others!! 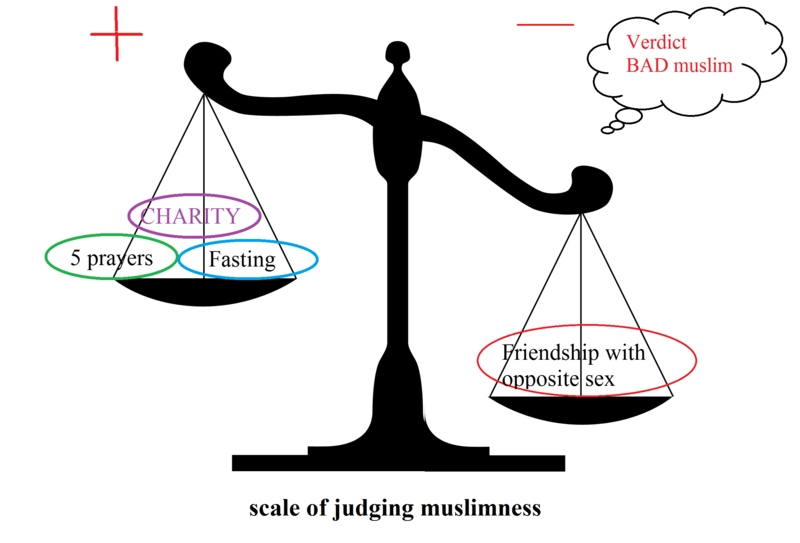 and what if the one labelled as “bad character/ bad muslim” by them is actually a decent muslim?? 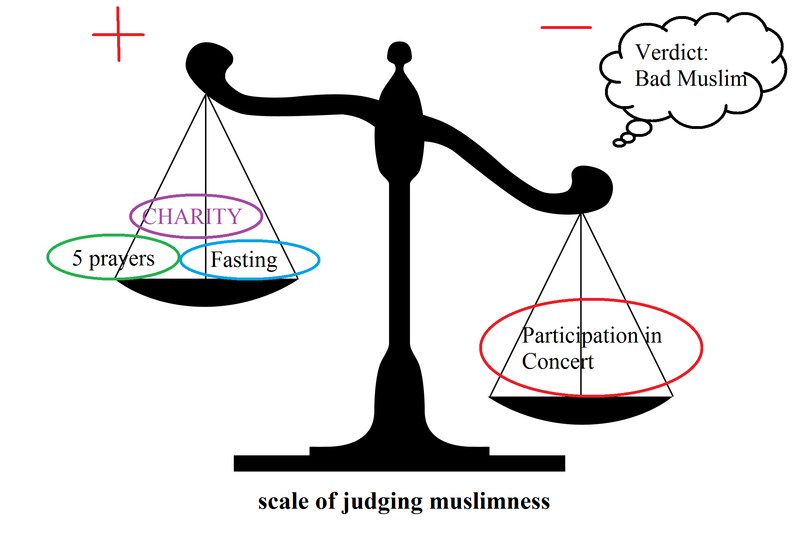 (as in he/she performed all the major obligations, 5 prayers a day, zakat and charity, Hajj, roza etc)).. wouldnt the whole judging thing backfire spectacularly in the faces of these judges of character?? once a companion of our beloved Prophet (PBUH) killed a guy on a battlefield, even though he had shouted out “La ilaha illa Allah, Muhammad Rasul-lullah,” yet that sahabi struck and killed the man anyway. The Prophet, peace and blessings be upon him, heard of this and strictly interrogated his companion , “Did you kill him after he said it (the Shahadah)! ?” He replied, “Oh Messenger of Allah, he only said it our of fear of the sword.” Prophet (PBUH) inquired,“Did you look into his heart?! so those of us who dont know about the matters of heart (and none of us do) should abstain from judging the piety (or the lack thereof) of others..
i hope i am not being guilty of the offence i am condemning…i just want all of us to leave the unenviably diificult task of judgement to our All-knowing Allah….just by looking at someone’s dress,appearance, or a single act which appears questionable to our sanctimonious sensibilities, we cant possibly declare anyone a good or a bad muslim….